“It only took one date,” Celina told me over the phone. 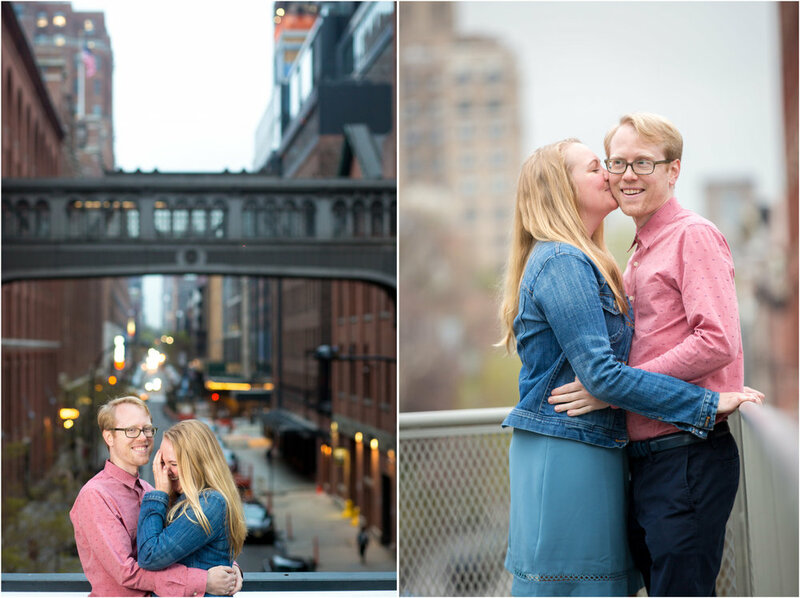 Celina and Greg, I so enjoyed our jaunt on the High Line, and I can hardly wait until your wedding later this year! Enjoy this sneak peek from your engagement session. Note: The High Line is a public park that incorporates sections of old train tracks that were used along the West Side of NYC decades ago. Don't worry, the tracks seen below spanned about 15 feet and are connected to nothing on either side. I would never put Celina and Greg in harm's way! Keep scrolling down for more images from this engagement shoot at the Whitney Museum, the Highline, and more. “And that is why I’m marrying her,” Aaron said with a broad smile. “That is reason number three hundred sixty eight why I’m marrying her,” he corrected himself as he pulled Mila closer into him. The truth is, it was freezing cold. The weather reports said it would be slightly chilly, and the day had been quite nice, but all of a sudden, right when we started our golden hour engagement shoot, the freezing winds picked up and were absolutely relentless. But Mila, with exposed legs and only a thin dress underneath her coat, had a smile on her face and was totally game for our shoot. Even though she had substantially less layers than everyone else, she wasn’t about to let some freezing wind dampen her spirits. And that is reason three hundred sixty eight why Aaron is marrying her. 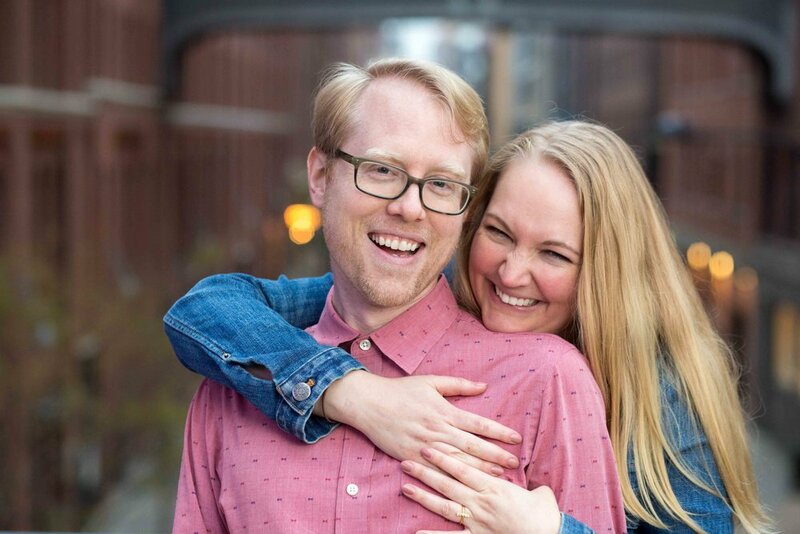 Mila and Aaron’s engagement session spanned the Whitney Museum, where they had their first kiss, and the Highline, where they had their second date. We also had some pit stops for coffee and warmth, and I was in photographer’s heaven when Mila and Aaron ducked into a furniture store for warmth and continued to cuddle and smize through the window (see below). Mila and Aaron, you two are a dream!! If we can have this much fun and get such beautiful photos during the freezing cold January, I can only imagine what your wedding will be like in April. I’ve said it before, and I’ll say it again… I’m obsessed with you two!!! Update: Check out Mila and Aaron's wedding here!